A number of changes have been incorporated into eoStar for the upcoming release. Below is a brief description of some of the more notable improvements. For a more detailed list of the improvements in this release version, you may visit the Releases Notes page at wiki-eoStar or click here. If you would like to schedule and upgrade or have any other questions regarding eoStar or the new features in this release, contact Rutherford Support at 877.477.9977 or email at support@rutherford.com. A new report has been added to ION in eoStar called the Backorders Report. 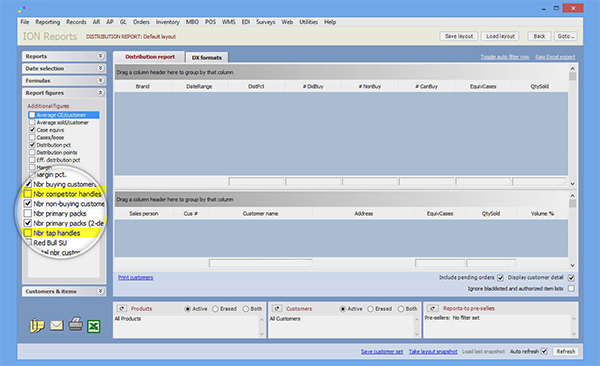 This report allows for the reporting of all backorder requests. 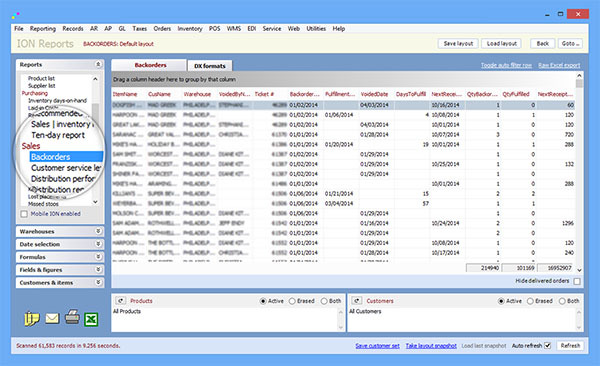 The Sell only via allocations tab was added to the ION Item Information tab of all ION reports that include item level information. For more information, visit ION Backorders on wiki-eoStar. For more thorough instructions, visit Releasing Backorders at wiki-eoStar. 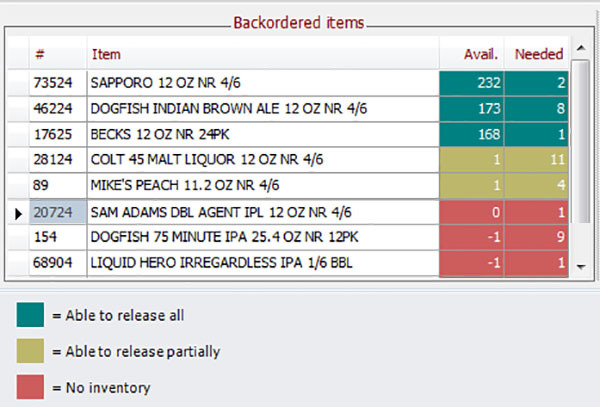 A new checkbox has been added to the Product > Record > More panel of Product Records called Exclude from FIFO. This checkbox allows a product to be flagged as not to be used for FIFO calculation. This means that transactions for this product will instead pull their cost from the auto or manual cost. For more information, visit FIFO Costing at wiki-eoStar. MillerCoors is making a push this year to have distributors report on their tap handle data. Users should utilize the Ion Distribution Report. This report includes information on distributor and competitor tap handle data that is collected. These fields can be found under the Report figures for this report. For more detailed instructions, visit Distribution Reports on wiki-eoStar. The latest versions of eoTouch are compatible with iOS 8 and above. If you have upgraded your iOS device to the latest operating system, contact support for a link to the latest version of eoTouch. Moving forward, future builds of eoTouch will be targeting iOS 8.1 to take advantage of the new features and additional functionality it provides.